Multi-agent technology provides high level organizational concepts (groups, roles, commitments, interaction protocols) to structure, coordinate and ease the adaptation of distributed systems efficiently. 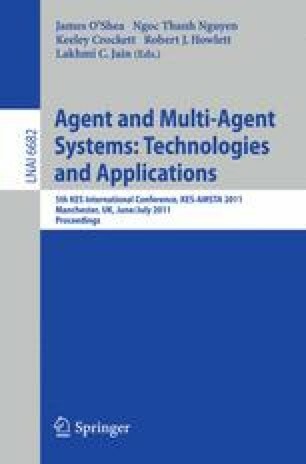 This paper proposes to model a grid scheduling system as a multi-agent system organization. The resulting organizational model, based on the Agent Group Role meta-model of Ferber, is evaluated at the conceptual and implementation level. At the conceptual level, we evaluate the efficiency, robustness and flexibility of our model. At the implementation level, the analysis and the evaluation of our proposition, done through simulations, show its efficiency.